This domain gets 1000s of hits a month – one month peaking at 16,000! It isn’t expensive…just so I can cover some of the expenses. 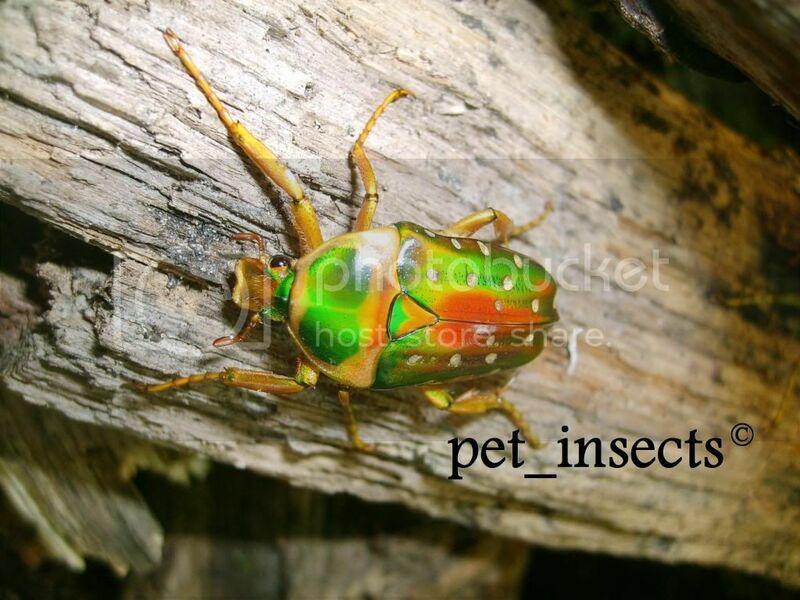 Anything insect or even wildlife related considered. Art, groups, authors etc. There’s now a distinct chill in the air so I’ll be switching on the little critters’ heat mats. A project for the autumn will be making a simple beetle hotel for the various insects to holiday in over the ensuring cold months. I’ll get hold of a tough cardboard box and fill it with old plastic piping, bits of fire wood, and leaves, then punch a few holes in it – including little doorways – before leaving it under a bush. Loosely covering it with a piece of old plastic sheeting weighted down by a couple of bricks makes sense. 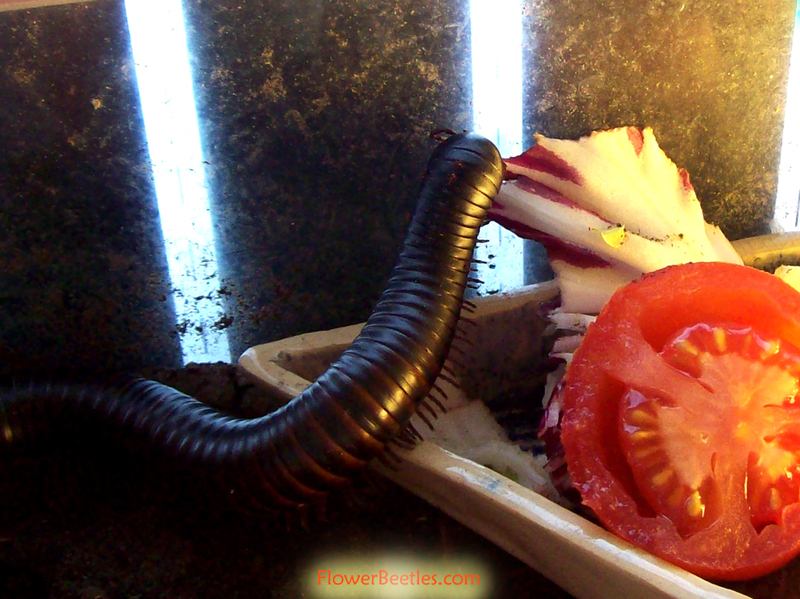 A couple of days ago I was pleasantly shocked to find a couple of baby millipedes from the giant millys. 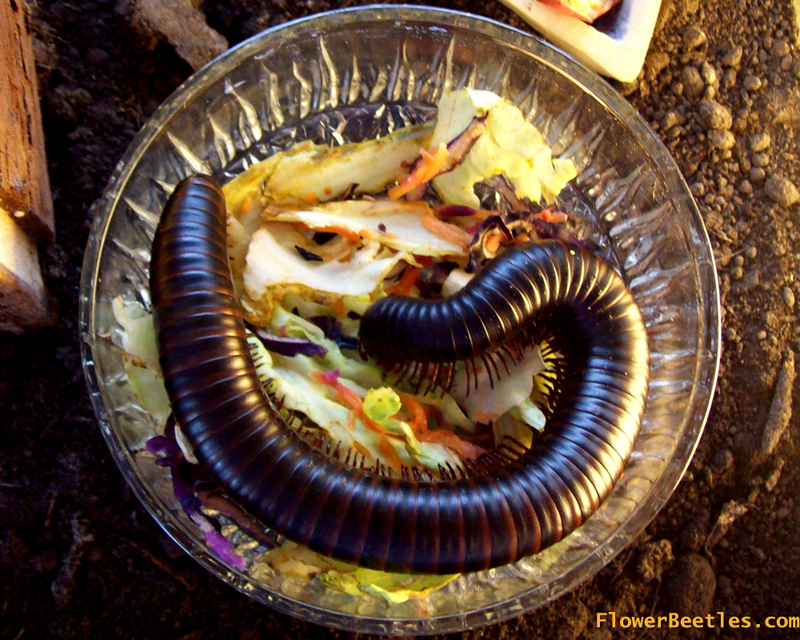 It was last thing at night, dark – when millipedes usually come out – and I spotted them, all 15mm or so! 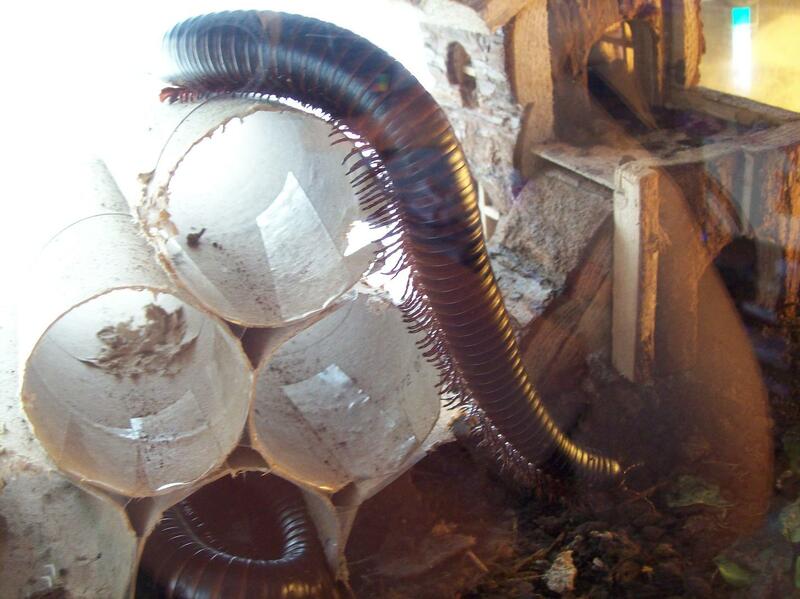 Exact replicas of their parents, with bobbing antenae, segmented bodies, and a plentiful number of legs. 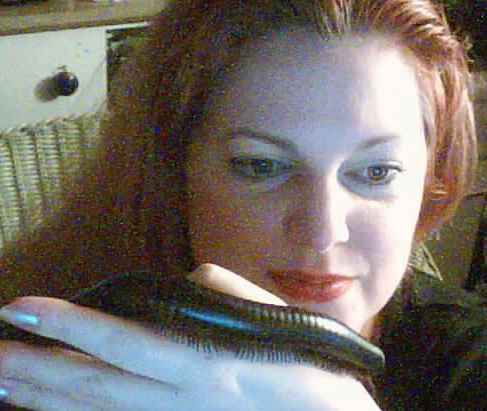 It surprised me because I believe the two millipedes to be female; there was (I believed to be) a male but that was almost a year ago. (He arrived ill in the snail mail, although carefully packed, he never recovered). 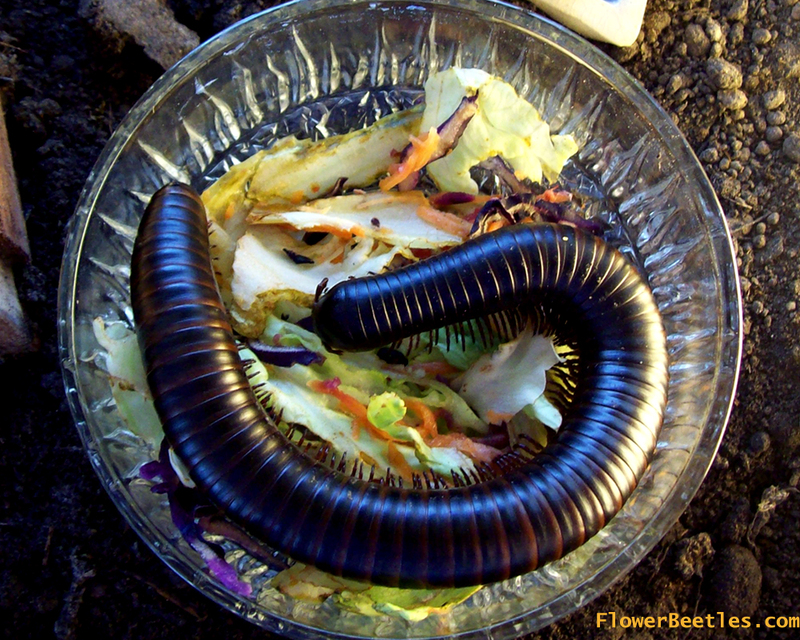 Do millipedes carry sperm, or have long pregnancies? Are there only two offspring? I don’t think I’m very good at telling the gender. 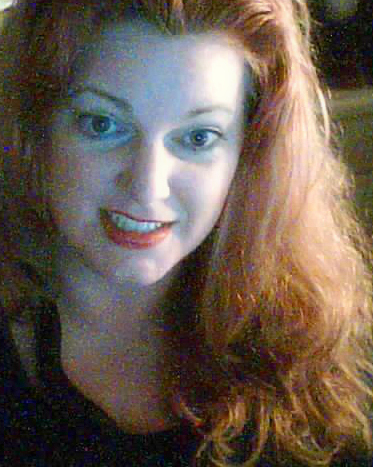 Here’s some new photos for you. 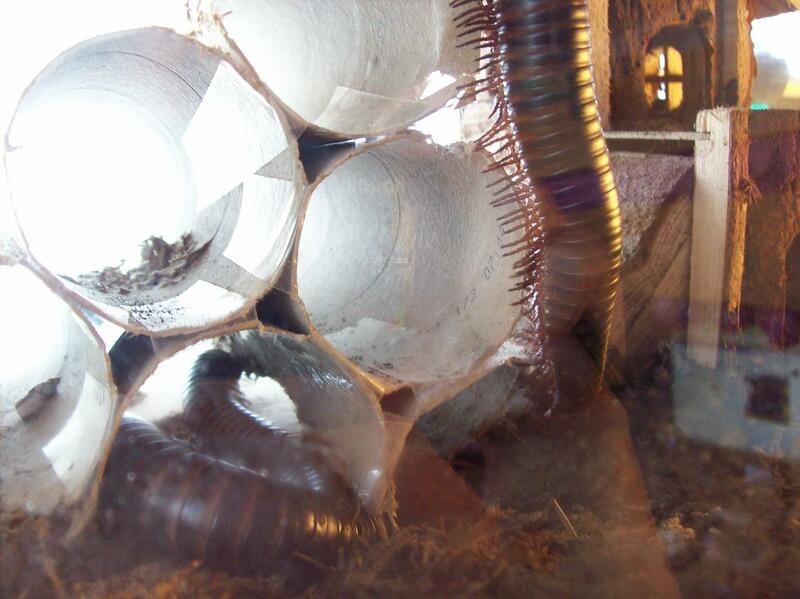 They show Millicent and Miranda within their living environment – log cabin, with one up and one down; and a ‘tube stack‘, I put together with old kitchen roll middles and sellotape. 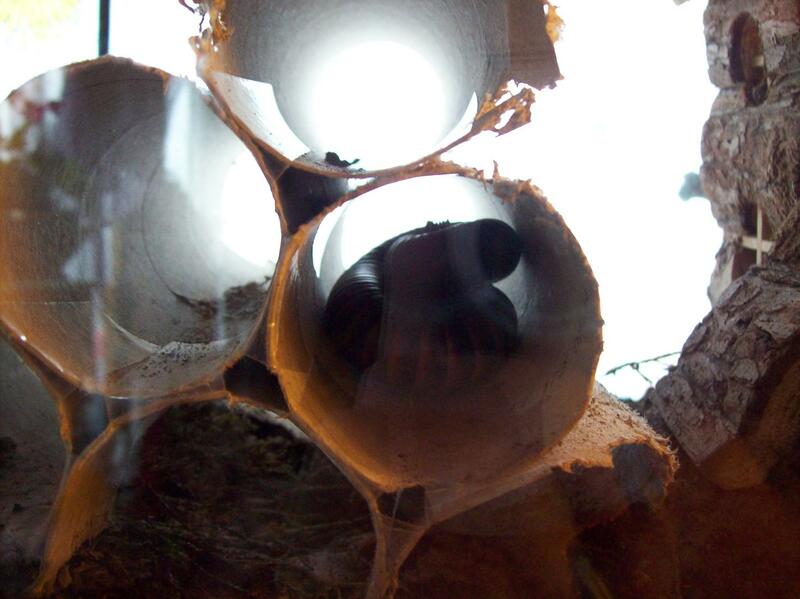 Like pet rodents they’ve chewed holes in the tubes…they must have teeth! So good of them not to have bitten me 🙂 They like climbing over the tubes and sleeping inside them. I’m so pleased I made it! Several other tubes are in a drawer, collected for making the next one when this one is all ‘chewed up’. 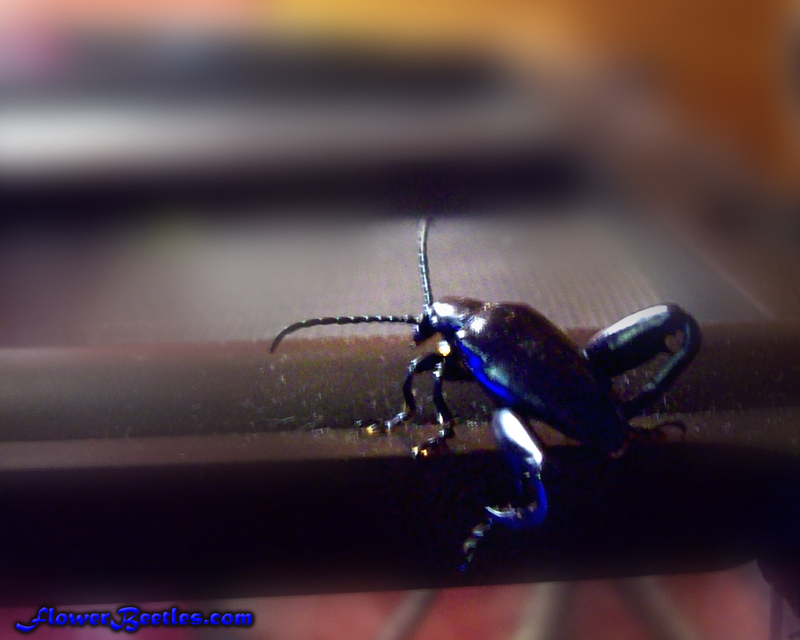 Unfortunately, not much to report on the pet beetle front. I’ve a few Pachnodas, sun or fruit beetles and that’s it. Not even a cocoon in sight! Next year I’d like to get hold of some Frog Beetles (Sagra) as they’re such a joy to keep and really beautiful like jewels. I might even have success with breeding them. To everyone else, thanks for stopping by, your comments are much appreciated! 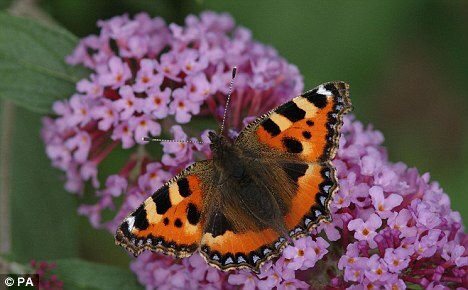 Due to the eradication of farm land, wild meadows, ancient woods and hedgerows; from people having manicured gardens, and unstable weather conditions, we are losing our important insects. 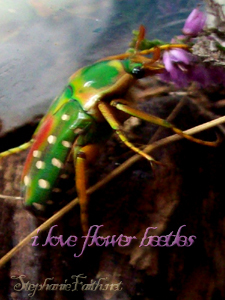 Aside from the fact that some of us find them fascinating, our very existence is dependent on insects, to read why, click *HERE* to be taken to the Bug Life’s page. Let a patch of nettles along with other weeds thrive in a small part of your garden. Make a log pile, it doesn’t need to be big, a few logs will do. 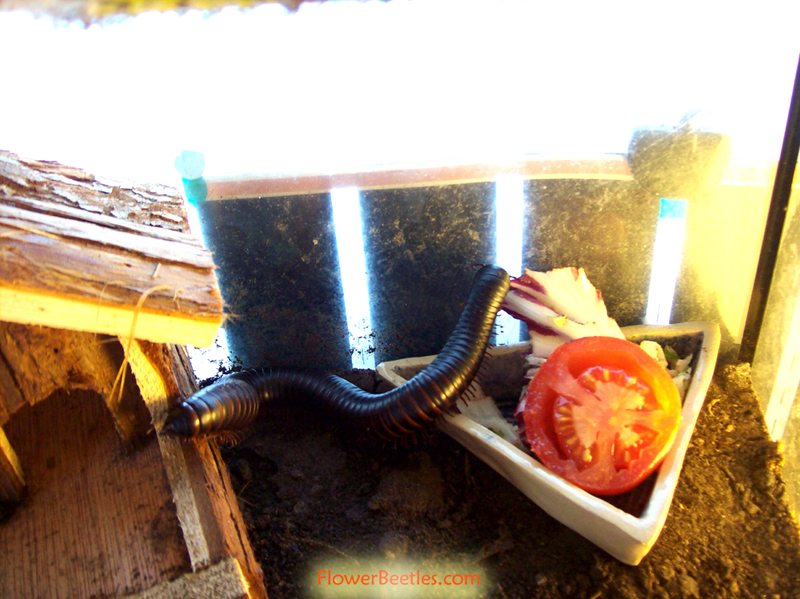 Insects – so beneficial to us humans – need certain weeds to live and feed from. 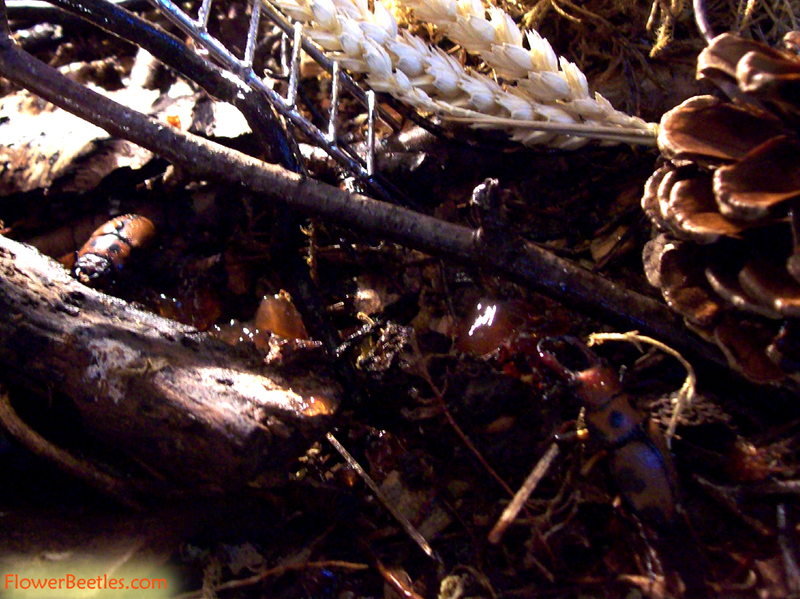 Logs make great homes for beetles and other small creatures such as frogs. Carefully remove bees etc, using a drinking glass and a piece of stiff paper to put them outside when they’ve become trapped in our homes. 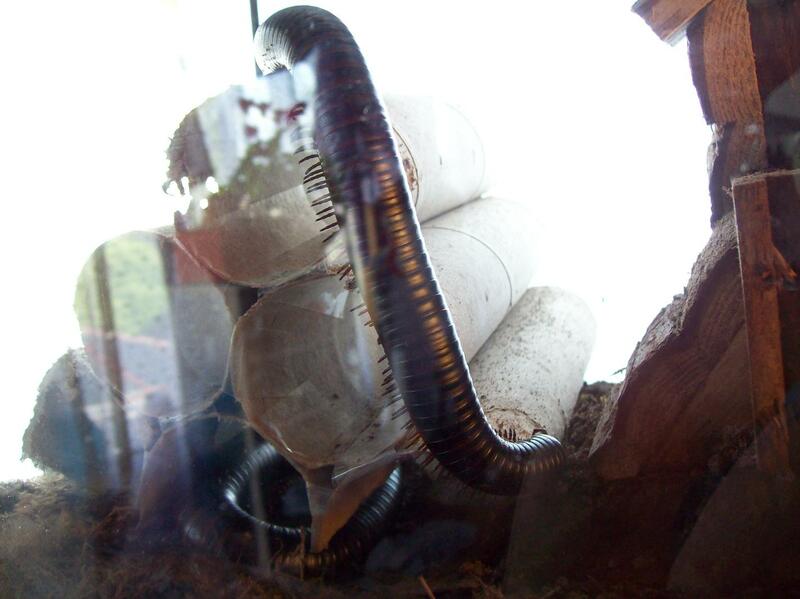 Such a lively Giant Millipede, antenae bobbing everywhere, numerous legs travelling in all directions…and they say cats are curious! 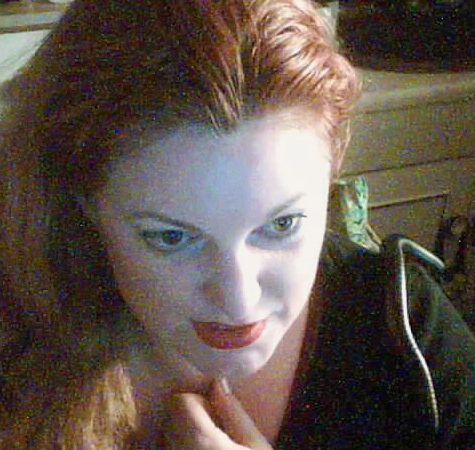 She was very curious about reaching the desk and at attempting to cross the pc keyboard. 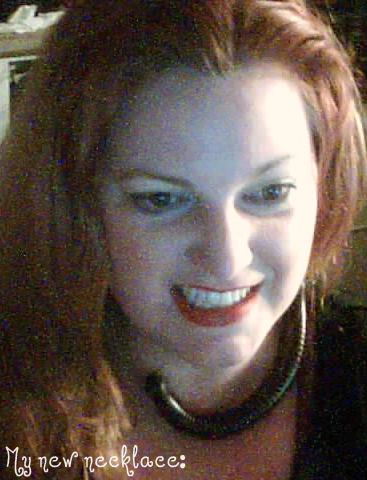 Miranda loved hiding in my hair. 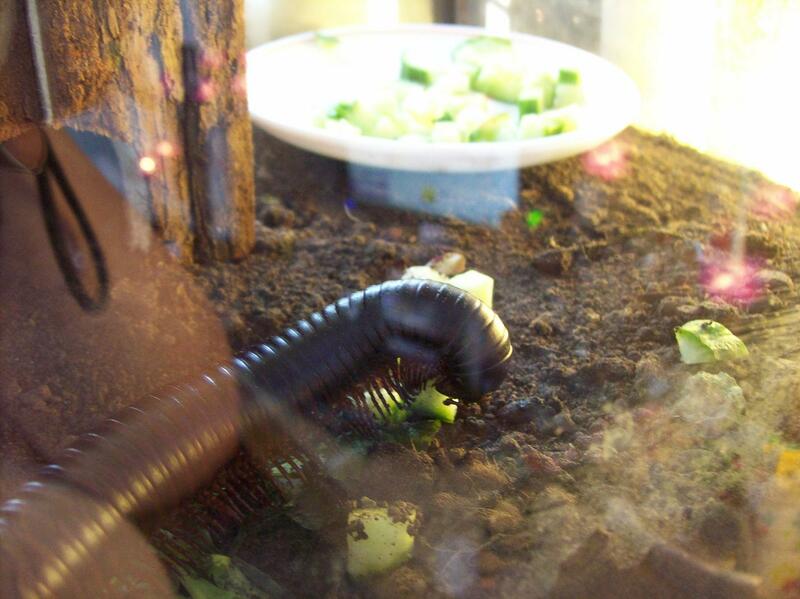 Handling giant millipedes: Always wash your hands before + after handling these (and any) creatures. Giant millys are quite heavy and can easily fall, it’s a good idea to handle them carefully while sitting in case they do lose their grip. They make great pets for children and adults with allergies. The ancient Egyptians would have nodded sagely: scarab beetles perform a dance to the sun atop a ball of dung. They’re not worshipping a sun god, though: the beetles dance to orient themselves and – crucially – to roll their dung ball in a straight line. Dung beetles were sacred in ancient Egypt, their dung-rolling linked with the nocturnal activity of Khepri, the god of the rising sun. Khepri was supposed to roll the sun through the underworld at night, pushing it over the horizon in the morning. Now Emily Baird of Lund University in Sweden and colleagues have shown that a diurnal dung beetle in South Africa (Scarabaeus nigroaeneus) uses celestial cues to ensure it keeps going in a straight line away from the dung pile. 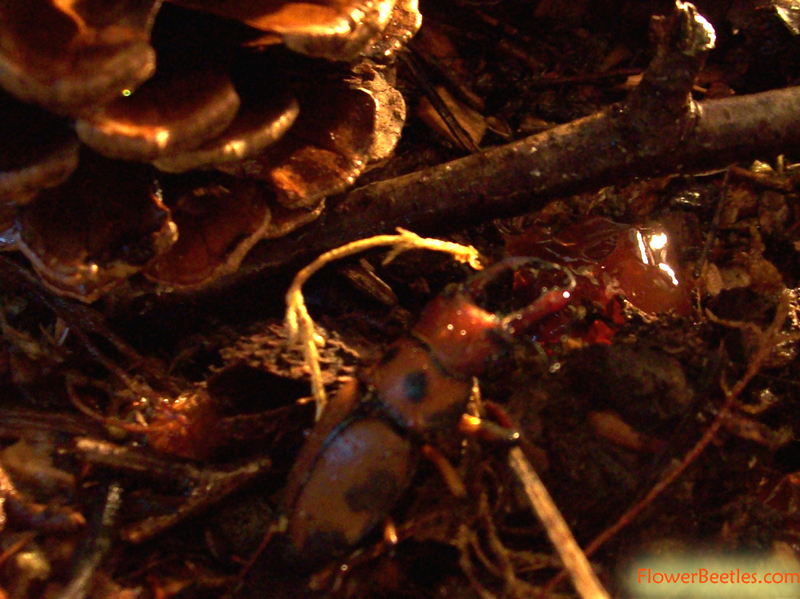 Beetles collect dung from a pile and form it into manageable balls. Making a ball costs time and energy, and competition for dung can be intense, so it’s best for a beetle not to hang around when it’s got a precious new ball ready to roll. When beetles have fashioned their ball, they climb to the top and “dance” – actually rotate on the surface – before returning to the ground and pushing. Their aim is to find a suitable patch of ground where they can bury the ball and eat it. 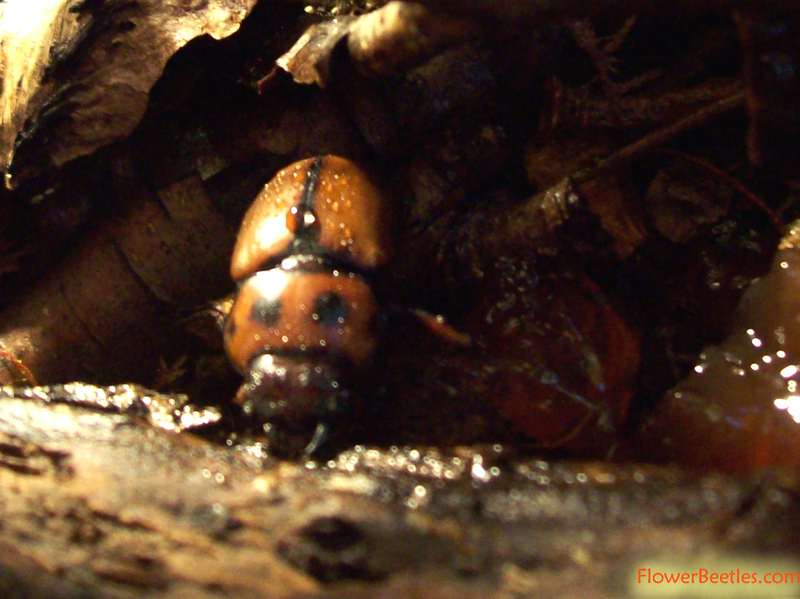 The beetles shove the ball facing backwards, with their head down and rear legs pushing the dung. Through an ingenious series of experiments, the biologists found that the beetles perform the dance before moving away from the dung pile, and also when they encounter an obstacle or lose control of the ball. 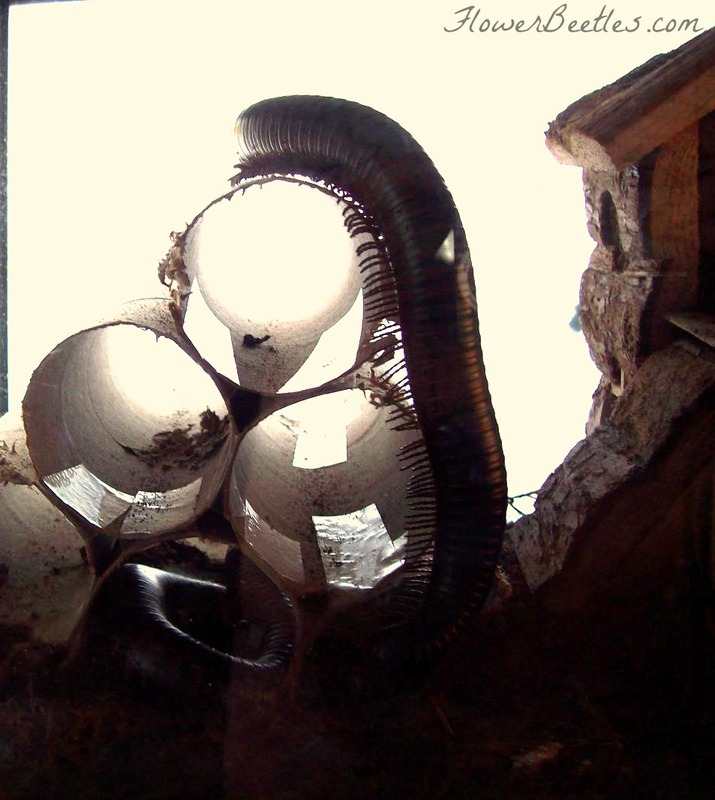 Baird’s team sent the beetles down semicircular tunnels to put them off course, made them roll balls down rotating pathways, and used a mirror to change the apparent position of the sun. 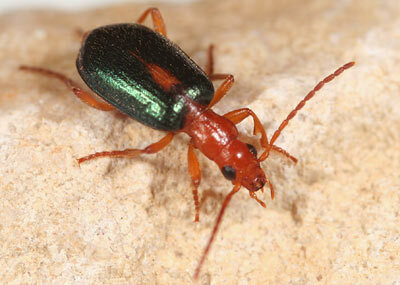 In both cases, most beetles performed the orientation dance before changing the direction they pushed the ball. “Similar behaviours are seen in ants, which rotate about their vertical axis to memorise landmarks near the nest, and sandhoppers, [small seashore crustaceans] which rotate back and forth to find a particular magnetic orientation,” says Baird. This is the full article *HERE*. 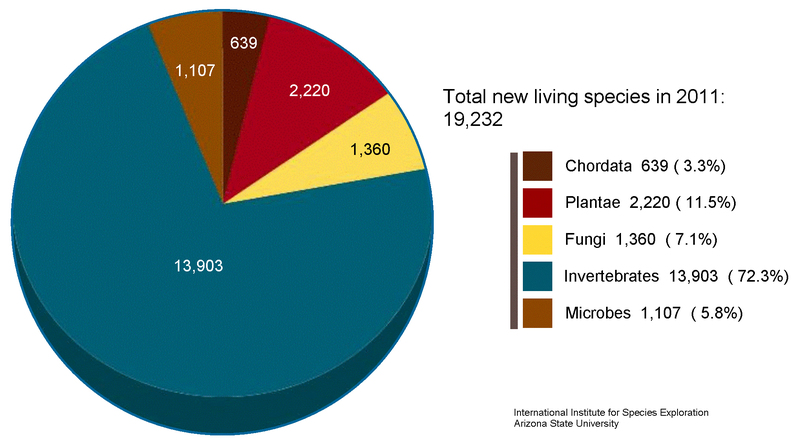 According to the latest State of Observed Species report, in 2011 a total of 19,232 new living species were discovered! Unsurprisingly, insects and invertebrates made up the vast majority of the newly discovered species, totaling 13,903 previously unknown species. Beetles were the most common discoveries, accounting for 3,485 in all, including 568 rove beetles, 421 ground beetles, 369 long-horned beetles, 356 leaf beetles, and 228 scarab beetles. You can read more of this article *HERE*. 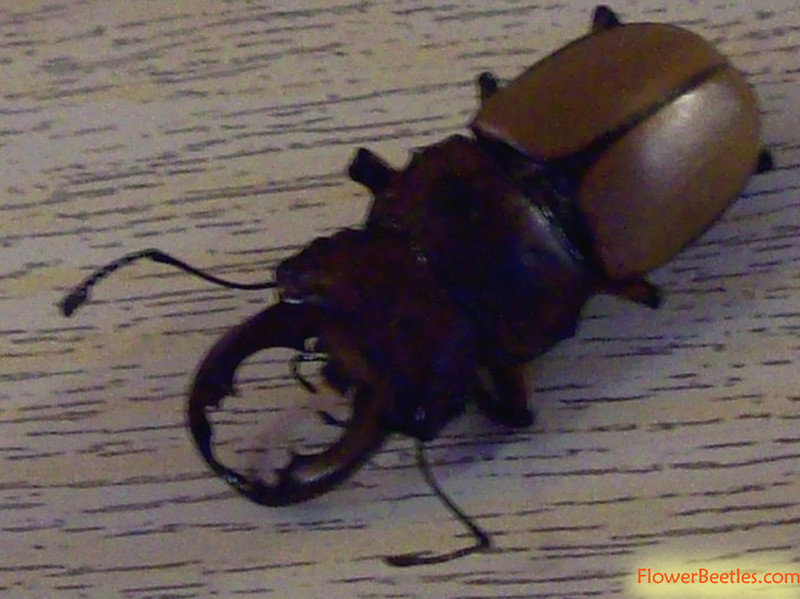 My pet beetle, John The 3rd (above), a Homoderus gladiator stag beetle, recently went to Beetle Heaven. 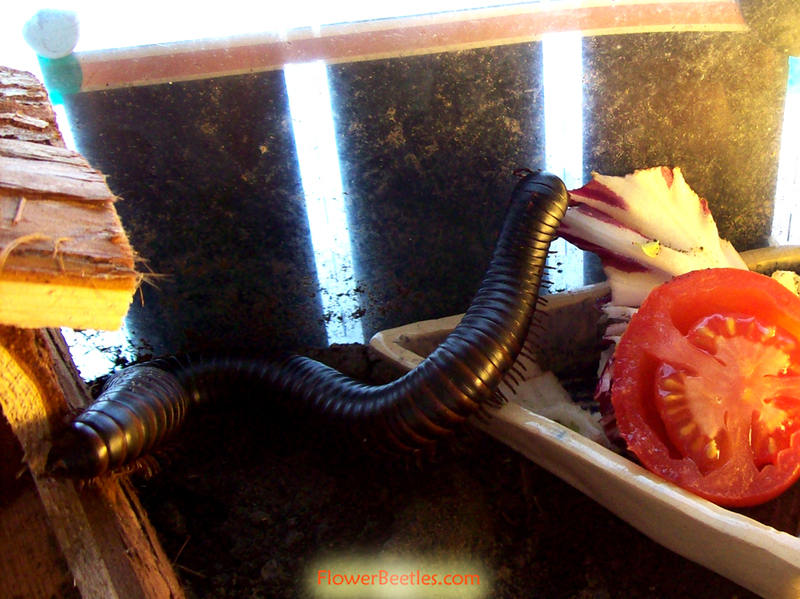 He was a beautiful and fascinating pet beetle to watch, he loved his food and I do miss him. 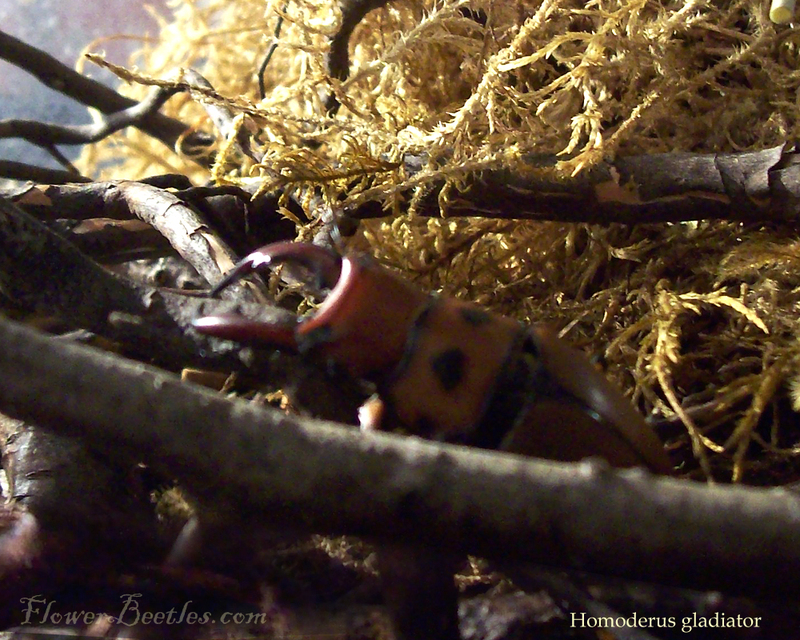 The Homoderus gladiator are prone to losing their limbs, the poor things, which obviously impacts their mobility – or lack of. With missing leg parts they are forever falling over and like the tortoise (or turtle) once on their backs it can mean death if they’re not able to turn over, or you (pet beetle owner) do it for them…I’m often using cotton buds and pencils to set them back on their feet! 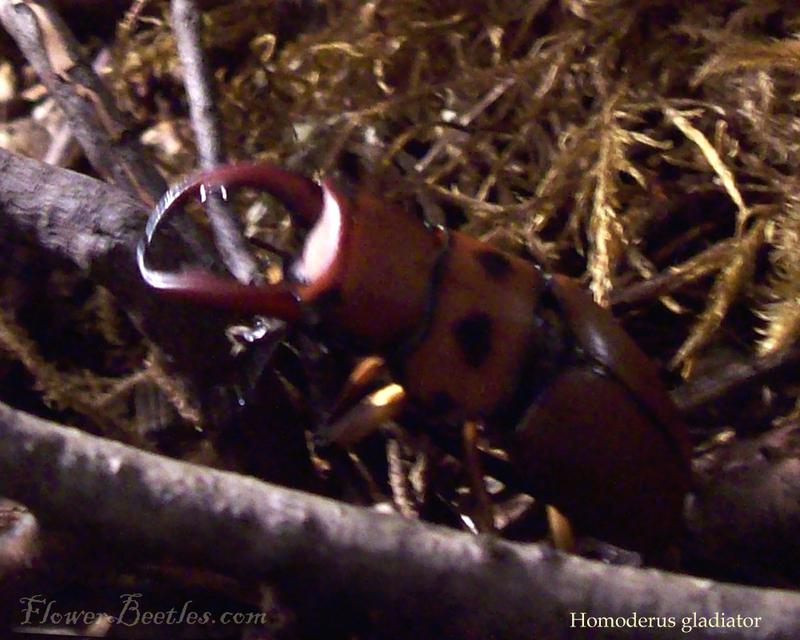 The Homoderus gladiator, the males have fearsome looking antlers! 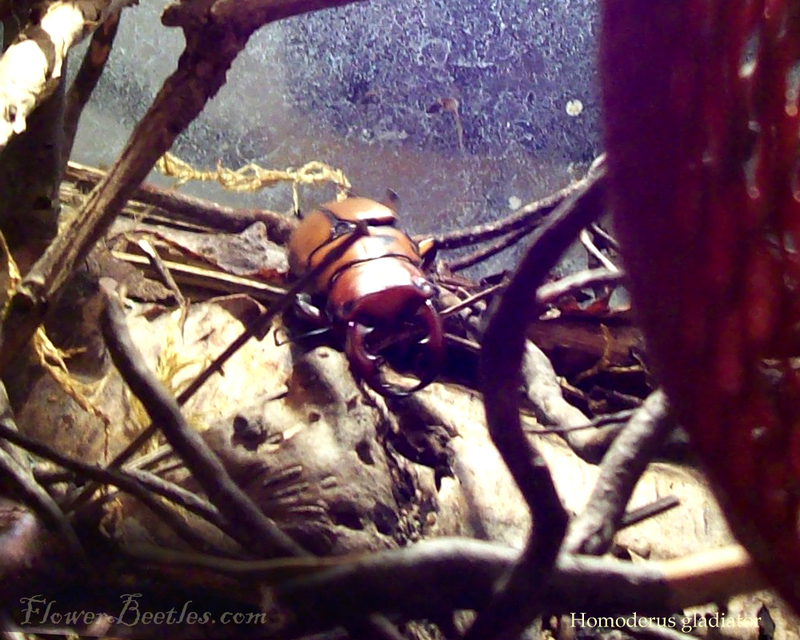 I’ve yet to own a good quality camcorder or a camera that does macro, anyway, I put together a few of my MANY pet beetle photographs together in a short video. I hope you enjoy it.